On-line shipping can be pain because you have to spend time typing in names and addresses. That's where AnyBook comes in. 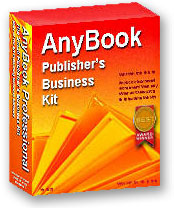 AnyBook, using a newly developed technology, auto-fills the forms for you. After the form is filled, you can schedule a pick-up, provide notification to your customer, and print out the shipping label.